HEADS Rail is CAD based Railway design software which processes Survey data obtained from Total Station which is processed to create DTM with Ground Contours. HEADS Rail also processes Satellite images, Conversion from TM (Survey) to UTM (GPS) Coordinates, Communication with Google Earth to plan for Green Field Alignments, processing of Ground elevation data by Online downloaded from Shuttle Radar Topography Mission (SRTM) from Internet by using Global Mapper without any field Topo Survey. HEADS Rail designs Metro Rails elevated & Underground sections at straight & curved sections to suit the site situations. 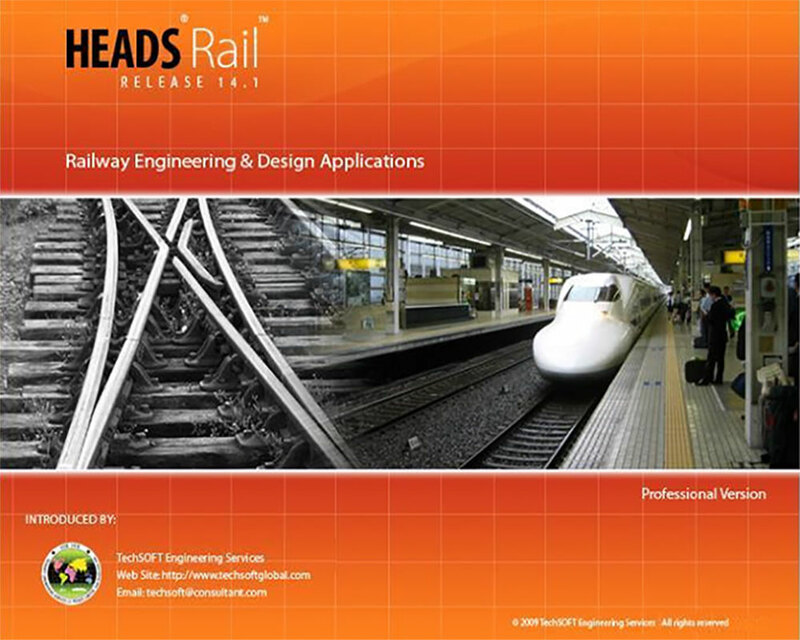 HEADS Rail is highly advanced program which best processes Railway Track Design and Double Tracking jobs involving different design requirements along the route of the railway by proper processing Alignment Geometrics, Vertical Profile, Crossings and Yards. HEADS Rail produces sophisticated Project Construction Drawings for Plan, Profile and Cross Section and Estimation of Earthwork etc.